Call us for an exact quote to your specific location, as price depends on proximity to our offices. 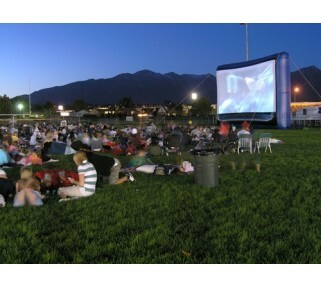 Rent a large outdoor projector and screen package from Avista for a film festival, city-wide "movie in the park" night, or corporate event. 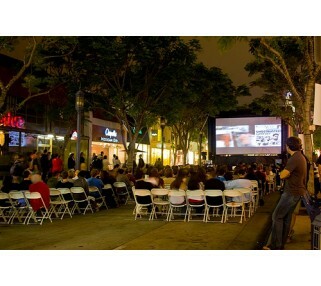 Avista works with a number of city and municipalities in the San Francisco Bay Area and Greater Los Angeles County to deliver a number of flawless movie events each summer. 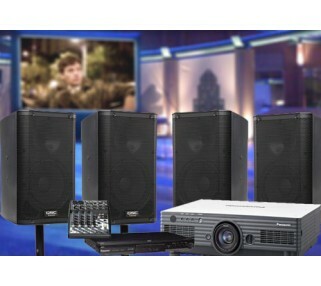 This awesome outdoor movie package is perfect for 250 to 500 people, and includes a 16' wide x 9' tall inflatable screen, 4 professional grade QSC speakers delivering 4000 total watts of sound and a bright 6000 lumen projector. Please note that depending on anticipated crowd size and layout of the venue, we may recommend a specific speaker layout. A popular add-on to this package is a microphone, allowing you to greet your audience, make announcements, thank your sponsors, etc. We can also provide an iPod cable, allowing you to play music before and after your movie. If you want to hookup an alternative input source, such as a laptop to do a quick pre-show presentation or display a sponsor scroll, we can help you do that as well. Please note that this item is not available for Will Call: it must be delivered and setup by Avista technicians.